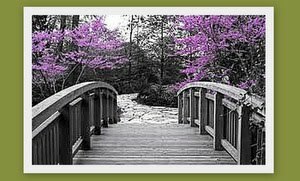 Madison Coupon Connection: New $1/1 Ronzoni Garden Delight Pasta Coupon! New $1/1 Ronzoni Garden Delight Pasta Coupon! 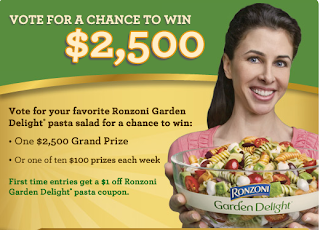 Stop by & "Like" the Ronzoni Facebook page to vote for your favorite pasta recipe, get a chance at winning $2500, & print a great $1/1 Ronzoni Garden Delight pasta coupon! This coupon should allow us to get FREE pasta when the Ronzoni goes on sale for $2.00 each (& we double the $1/1 coupon at Copps/Pick-n-Save)! I have to say, this "Garden Delight" variety is my favorite! Crazy Good Deal on Batteries at Menards! Hy-Vee Deals Week of 5/29/11 - 6/4/11! New $1/1 Palermos Premium Pizza Coupon! Walgreens Deals 5/29/11 - 6/4/11! Copps DOUBLE Double Day Trip 5/28/11...72% OFF! Madison Area Mall Coupons (5/27/11)! Marcus Theatres Summer "Kids Rule" Movies! Walgreens Deals Week of 5/22/11 - 5/28/11! Hy-Vee Deals Week of 5/22/11 - 5/28/11! Sunday 5/22/11 Coupon Insert SNEAK PEEK!-Update! Wow! : Copps DOUBLE Double Day...TODAY! Madison Area Mall Coupons (5/20/11)! Copps Deals Week of 5/19/11 - 5/25/11! Hy-Vee Deals Week of 5/15/11 - 5/21/11! Sentry Deals 5/12/11 - 5/18/11! Quick Stop at Kwik Trip 5/14/11...$1.22! Copps Trip 5/14/11 $7.08...75% OFF! Walgreens Deals Week of 5/14/11 - 5/21/11! Sunday 5/15/11 Coupon Insert SNEAK PEEK! Madison Area Mall Coupons (5/13/11)! Copps Deals 5/12/11 - 5/18/11! Kids Bowl FREE Program! More Summer Fun! Sentry Deals 5/5/11 - 5/11/11! Hy-Vee Deals Week of 5/8/11 - 5/14/11! Walgreens Deals Week of 5/8/11 - 5/14/11! Sunday 5/8/11 Coupon Insert SNEAK PEEK! Madison Area Mall Coupons (5/6/11)! Walgreens 5/5/11 $14.21 + tax...$72% OFF! Copps Trip 5/4/11 $6.97...81% OFF! Copps Deals Week of 5/5/11 - 5/11/11! Walgreens Trip 5/3/11 $5.02...87% OFF! Hy-Vee Deals Week of 5/1/11 - 5/7/11!